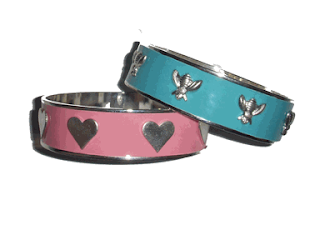 last week I bought a pink heart bangle that is almost identical to the one you have listed... I got it in white too... at Aeeropostale, 2 for $15!!! Oh how I love those plates! We used them over the weekend, and they are FAB! So cute! Love it :) Let me know if you want to chat / get coffee or something soon! thanks for great tips. I need to head over and get that shirt ASAP! are you getting that anchor shirt? Love all of it! Isn't Valentine's Day a great excuse to stock up on pink things! These are all so cute. Great choices! that anchor shirt is so cute. 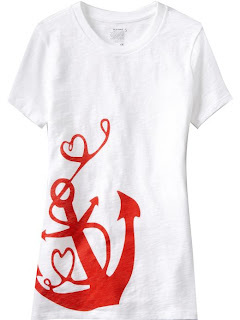 normally i don't like things with hearts on them, but the anchor makes it wearable! All such cute items. The bracelets are a favorite! Super cute finds~ as always. The placemat is soooo cute. That tote is so sweet and the anchor top is perfect! Love the heart-themed items! 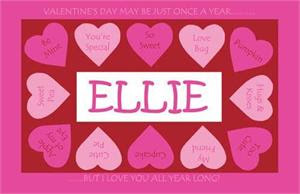 It makes me excited for Valentine's Day!! I love that Old Navy tee! The plates, the cards, the tees! All of it is so cute. I love V-day!!! die for! I loveeee them. 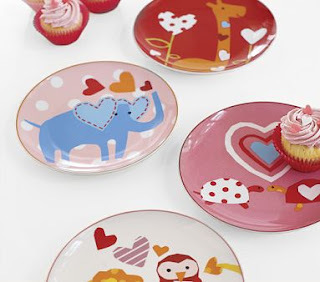 i love the elephant plates with heart ears!!! 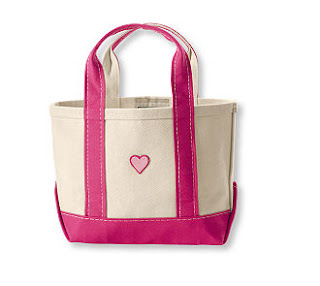 The LL Bean tote is too cute! I love all of your finds.